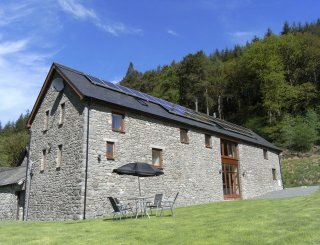 Park Hall, Cwmtydu, Llandysul, Ceredigion, sleeps 6-20 in 8 bedrooms. 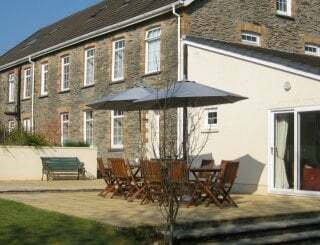 Located in a beautiful part of West Wales, Cardigan Bay, Park Hall offers large group accommodation, with occupancy from 6-20 people. 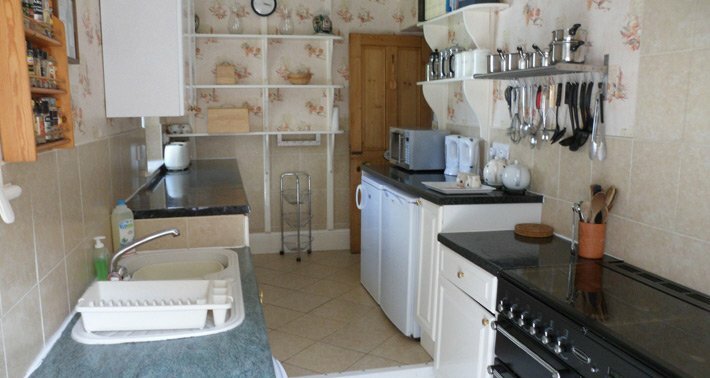 Park Hall is just 300 metres from the beach with most rooms having a sea view. 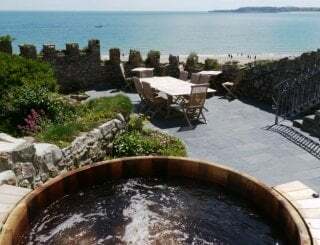 This is a fantastic location for a holiday or short break, with so much to do here - from water sports, hiking the 2 local coastal paths, walking the beautiful sandy beaches, looking for bottlenose dolphins, grey seals and harbour porpoises, feeding red kites - or take some time to do some sea fishing, visit the steam railway, castles or National Trust sites, quad biking, dry ski slope, shopping ... plus much more. Take a short trip further away to see our glorious Puffin Island or hike in the local mountains. The dining room/conservatory has the full view of the garden and the bay. Seating 20, this is a great place for a special dinner. 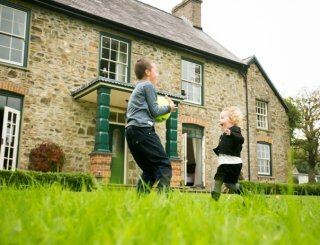 There's a sitting room to relax in and a games room for those with a competitive streak or for family fun. We would like you to share with us the joy of our everyday living. 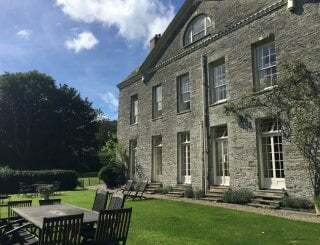 If you have a different vision of your stay with us, we are more than happy to provide different services (subject to availability) to help make your stay with us as magical as we can make it, whether that would be caterers for a special party or in-house beauty treatments, please contact us with all your wishes. 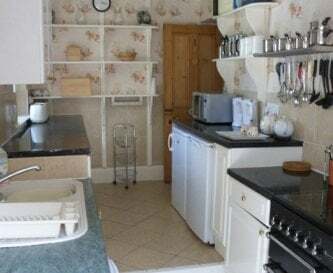 Fully equipped kitchen with surfaces including a range cooker, pots and pans, dishwasher, microwave, fridge and freezers, kettles and toasters. 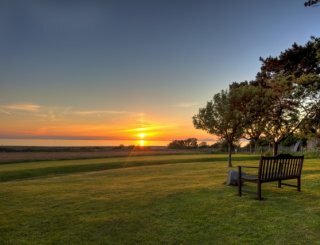 Our beautiful dining room seats 20 and has a full view of the sea and garden. You could enjoy the TV watching freeview channels or play a few ivories on the piano. In the main sitting room there's a magic sound system so all your party can enjoy the music they love using your PC or mobile/tablet device. We offer free WiFi in Park Hall. Since there is limited mobile reception in the area we have a pay phone for emergency incoming and outgoing calls. In our glorious games room you can play pool, get competitive at table tennis, throw a decent dart at the dartboard, or dig out our many board games. Central heating. 2 open fires which can only be used in winter (October to March). 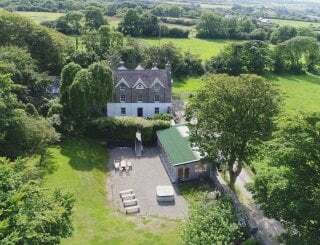 8 bedrooms, 7 are en suite with a mix of baths and showers. Mix of double, twin and family rooms. Linen and towels are provided but only for use in the premises. Please provide your own beach towels. 7 en suites with baths or showers. High chairs, play pen, cots available. Other services on request. 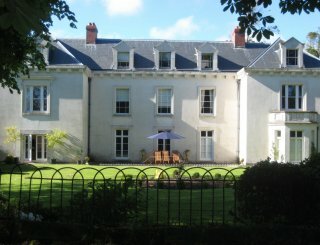 Park Hall offers garden furniture and a barbecue for use in good weather. There is no pool but the sea is very close! Non smoking inside. Outside is allowed in a respectable manner. Pets are allowed if agreed before arrival. There is a small fee per pet. Park Hall is just on the outskirts of Cwmtydu village. 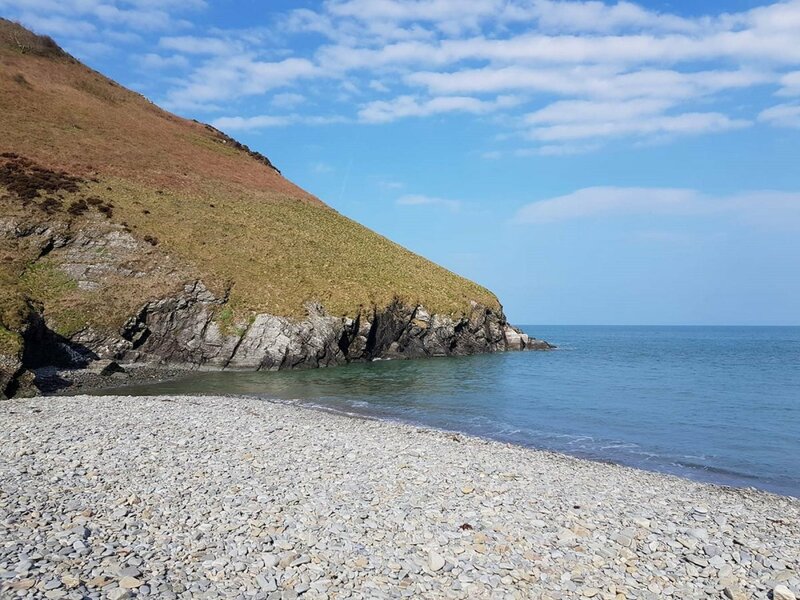 With just a 300 metres walk to the beach/sea we are perfect for your holiday. 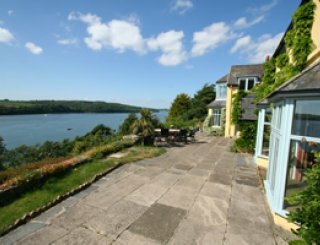 Overlooking Cardigan Bay and with easy access to coastal paths. 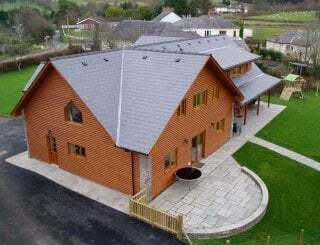 Our nearest village is Cwmtydu and the closest town is Llandysul which is 12.8 miles away. For more extensive shopping pop to Aberystwth which is only 27 miles away. 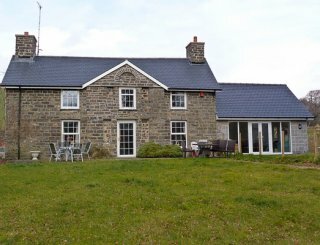 Small local convenience store just 7 miles away in Llanarth or there is a Tesco supermarket located in Cardigan just 17 miles from us. You can order on line for Tesco to deliver. 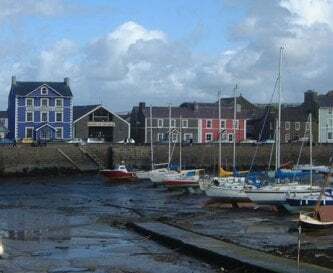 The nearest pub, Penrhiwgaled Arms, is 2.2 miles from us. £250 is required to cover any damage or breakages to the property as per our Terms & Conditions. 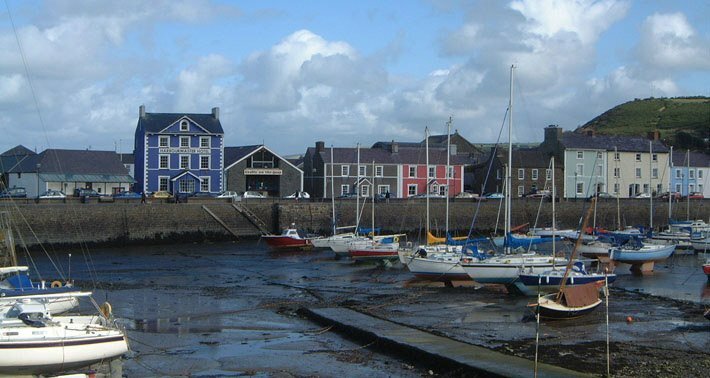 Our nearest station is Aberystwyth which is 21 miles away or Carmarthen which is 23 miles away. 94 miles from Cardiff airport. 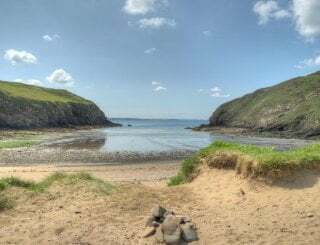 For private flights we have West Wales Airport just 13 miles away. 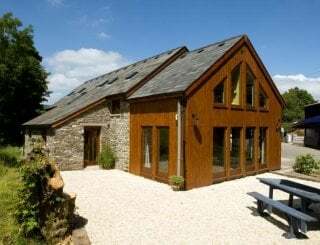 Monday 6th May - 5 nights was £2,005.00 now £1,630.00.